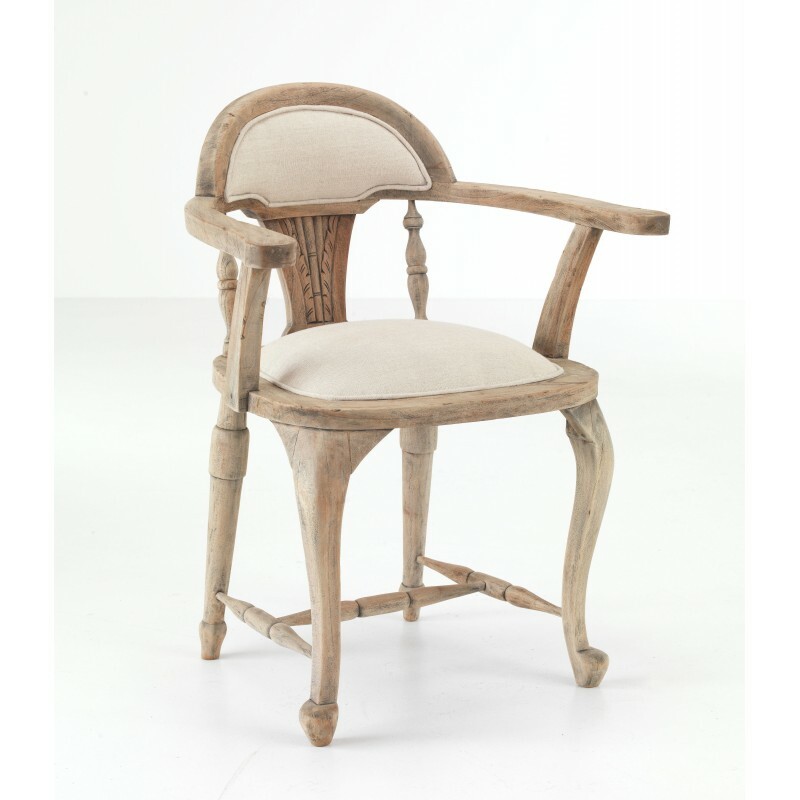 An upholstered occasional, mahogany arm chair with plain wood frame, the padded seat and back are covered in beige fabric. A french style arm chair with mahogany wood arms and frame. It compliments the Vintage Large Desk or can be used as an occasional chair for any setting.